Coliderix II 2 is another fun physics based point and click puzzle game on addictinggames. 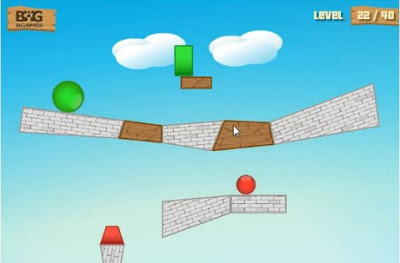 The objective in this game is to eliminate the yellow and pink colored shapes by making them collide with each other by clicking on the orange shapes. Colliderix 2 is equally entertaining like the previous game but it can also be a bit of a challenge for some. So here is a Colliderix II 2 walkthrough for some of its further levels.